On emptying the interior slatted floors in farms, it is more and more frequent to find sediment left in them; heavy slurry particles which have turned to sediment. Farms are aware that it is important to prevent water escaping from the drinking vessels which then causes the solid percentage to increase and the slurry more difficult to get out. The increase in sediment leads to less capacity in the slatted floors and means we have to open them more frequently, even having to lift the grills and empty them by hand or with expensive equipment. 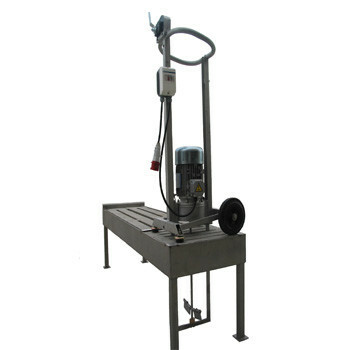 The function of the mixer is to break up the crusts, mixing the solid with the liquid and so preventing the liquid from creating channels inside the slatted floor and thus evacuating before the solid. Don’t spend more time with expensive cleaning systems. 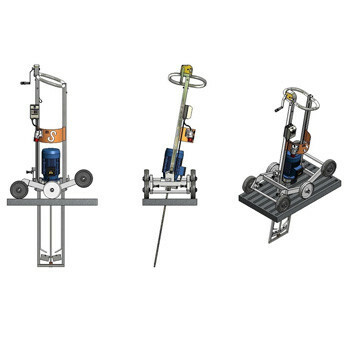 Request a demonstration of our equipment in your farm. 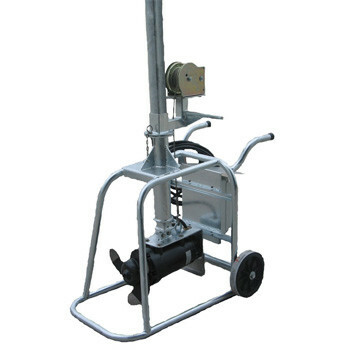 Submergible mixer designed to mix medium to large size slates floors, with a minimum height of 70cm and maximum 4 metres, using a mast which allows the height to be adjusted during the mixing. A thinner used for removing sediment in the pits and further facilitating the homogeneity of the slurry.